It seemed that everyone who crossed her path fell in love with her, including Pediatric Nurse Nan Madden. It was evident that this little girl carried a beautiful spirit and energy. She is 6 years old and her father brought her in. After finding out about the mission through the hospital, they traveled an hour and a half to get here. This little girl has a fixed smile and is as happy as can be. Her father told me she has difficulty pronouncing words and is often bullied by other children. 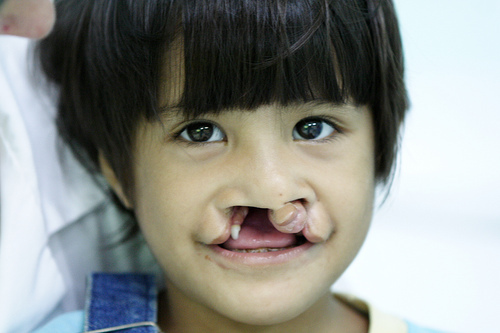 After a somewhat lengthy cleft lip and palate surgery, she was wheeled into the recovery room where her father appeared shortly after. The surgery went very well and the change is incredible. 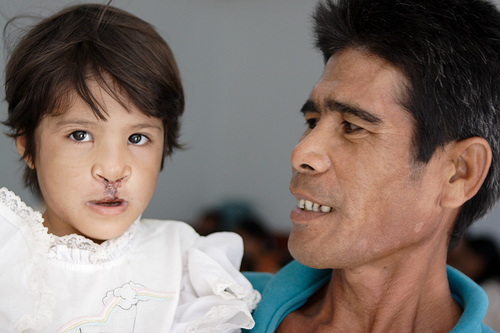 What was a large gaping hole in her top lip is now a small line of stitches that will be healed in no time.